The waiting to see a match at the National Arena statium is coming to an end, even there is an official date and a scheduled match to be played at the newest and biggest football stadium in Albania. 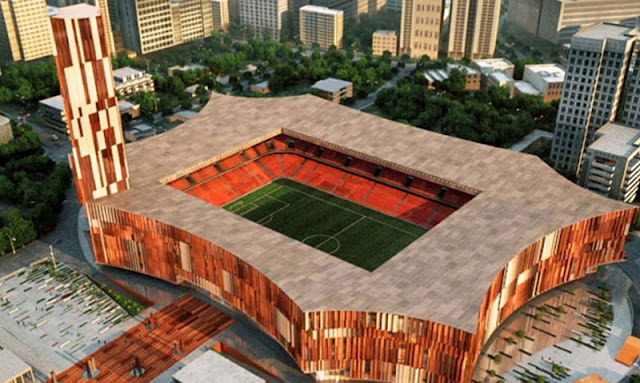 On June 11, Albania - Moldova, the meeting valuable for the eliminators of Europe 2020, will be played at the stadium we are all waiting for. Oculus News has been able to learn from sources around the Federation that the ruling Albanian football institution has responded to UEFA request by giving the name of the new stadium, which requires the decision of the development of the eliminator matches program in advance. The news finds confirmation even if you look at the site of the Albanian Football Federation in the section where the national team calendar is on and for the match Albania - Moldova is read "Sheshi Italia", Tirana. In this way, it can be assured that in June the National Arena will be completed and functional, ready to host football events. Although there is still no official announcement, this means that there is probably an agreement between the Albanian Football Association and the Ministry of Finance on the question of the reimbursement of the Value Added Tax relating to the Federation's share of the investment about the stadium, a crash that threatened to hostage the completion of the works at the "National Arena".